Canada's Wonderland at Halloween Haunt. 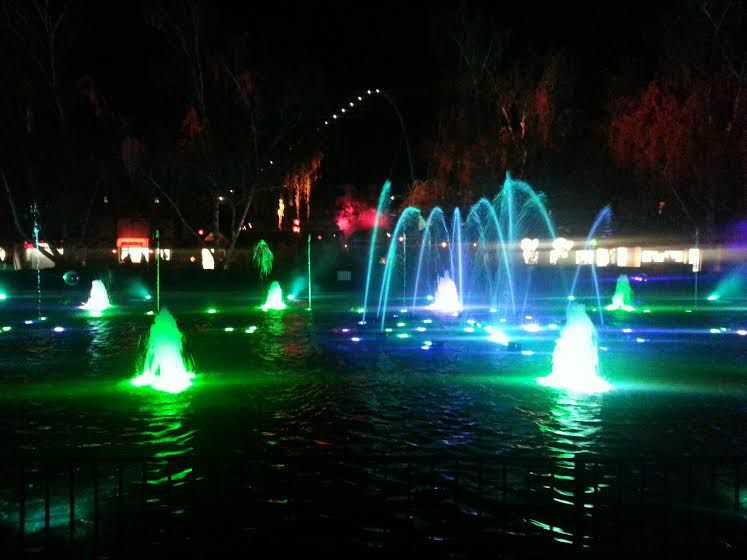 Night time with the lights and fountains. You can see the cars going up Leviathan in the background, on of the tallest and fastest coasters in the world.